Toggi has been a motorcycle tour-guide since 2002, mainly in the country´s highlands. His passion for motorcycle riding began 34 years ago and his career in the field is impressive to say the least. He was a professional driver from 1996-2005. He has won endless titles in national competitions in Motocross, Enduro, Sandrag, Drag and Icecross. As if that´s not enough Toggi also has a FIM Licence in Road race, Enduro and Motorcross, as well as a NHRA licence in Drag race (prostock). Due to his experience and his unique friendly character, Biking Viking is proud to have Toggi on the team. Biking Viking has had the priviledge of working with Hjortur since 2003. He has been riding two wheelers for 40 years now, or since he was twelve years old! 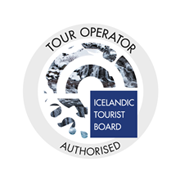 Hjortur is known for his profound knowledge of Iceland’s history and culture and knows the country’s best motorcycle routs by heart. Hjortur is also known for the pipe that sticks out of his mouth quite frequently. Even though Hjortur has a passion for riding on a motorcycle all over the countryside, his favorite places are in the vicinity of Mt. Hekla and Landmannalaugar. Hjortur´s main goal on our tours is to bring our riders back home safe and happy. An experienced off-road rider for many years. 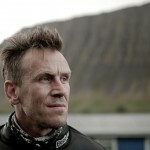 Eythor has been to all corners of Iceland as well as riding in the highlands on a bike.